Shopping astrology, Buy astro products, buy astrology services, ask astrologer, Precautions while buying, Enhancing luck by following some rules of astrology, How to shop to enhance luck, astrologer tips for auspicious buying and purchase. I am not taking about on line shopping store, on-line astrology articles purchase. The purpose of this article is to aware people about the lucky time to purchase, lucky date to purchase, enhancing luck by shopping. I know this is again a useless talking for the people who are not interested in astrology but this article is very important for the persons who really want to enhance luck from every where. Shopping is done actually by every one in this world. We like to buy every day, every month and whole the year something. Now What if we make our purchase lucky by knowing some rules. As we know that in paper know a days big companies give there advertisement to buy products on PUSHYA NAKSHATRA, why?. The only reason is that this day is said to be lucky to buy as per common rule. It is good if you buy products on auspicious days as published in news papers and magazines but I want to clear that it is not necessary that the same day is good for every one. So don't be a part of mob. Know about your own lucky day, lucky date, lucky time and then go for purchase. It doesn't mean that just to buy a chocolate or milk you go to astrologer or pundit to know the muhurth. Here I want to say that every month we buy things in bulk and also we buy jewellery(Gold and silver) time to time. So at this time it is good to follow the rules of auspicious time. By this it is possible to attract luck in life. It is possible that you can make your life better by making your purchase on shubh muhurth. First of all let's see what precautions are necessary at the time of shopping as per astrology which helps to keep away the bad luck. If you have pitra dosha or grahan dosha in kundli/birth chart/horoscope then avoid no moon day/amvasya to purchase. If any planet is debilitated or of enemy in your horoscope then avoid the related day also to buy any important thing or to purchase in bulk. Every day there is a rahu kaal period, this time is very dangerous and brings bad luck so it is good to know about this while going to buy any important thing. Avoid Rahu kaal always. If negative omen/Apshakun happened while going to buy any special thing then avoid buying at that time. If suppose shani is malefic in your kundli then don't buy oil, vehicle, iron products or any other shani related products on Saturday or shaniwaar. Before telling about this let me tell you one incidence happened with one of my client. Actually a person who don't believe in astrology talked with me and told that this is not accurate and there is no auspicious time and it doesn't work. I told him to follow the rules once and see what you experience. Then One day while going to buy some expensive product he asked me to tell time, he already enquire about the rate and on that day he was going to buy the product only. when he return, he was too much happy because suddenly only on that time he has got the special discount offer for which there was no declaration previously. After this event he always ask for the good time to buy any product. He started to believe in astrology after that. I don't want to say that every one get discount offer while following the auspicious time astrology but here I want to say that shopping at good time will give us benefit in somehow, we can't predict that how it will enhance luck but it does. So if you want to feel this then you should know some rules. 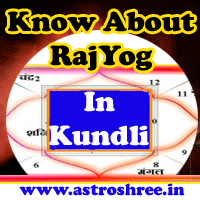 Show your kundli to any astrologer and know about your lucky date, lucky day and while going for bulk purchase or heavy purchase try to do it on that day. If there is an urgency to buy any product then in that case follow the choghadia. You can buy products in Shubh, Laabh and amrit choghadia. Don't ever buy in Rahu kaal. Always worship Lord ganesha before and after buying any very auspicous products. Arwarth siddhi yoga is a yoga when there is no need to see choghadia. Guru Pushya is good to buy gold and other products if it is falling in Shukla paksh. So follow some special rules and make your life successful. use astrology for better future, powerful and hurdle free life. If you want any type of astrology consultancy then do contact ASTROLOGER ASTROSHREE now. Get the best on-line astrology services now. Click here to know the astrologer consulting process. Shopping Astrology To Enhance Luck, Buy astro products, buy astrology services, ask astrologer, Precautions while buying, Enhancing luck by following some rules of astrology, How to shop to enhance luck, astrologer tips for auspicious buying and purchase.